Turaki Hassan, Abuja: Speaker of the House of Representatives, Hon. 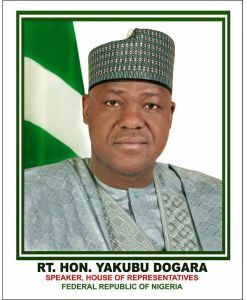 Yakubu Dogara, has enjoined the Muslim Ummah and Nigerians in general to imbibe the spirit of sacrifice, love and tolerance for the peace, unity and progress of the country. In a goodwill message to Muslims to mark the Eid el-kabir Sallah celebration, Speaker Dogara also charged religious leaders to always preach and promote ethno-religious tolerance as well as foster peace and unity among the people ahead of the 2019 general elections for the good of the nation.